If you have reached here searching for the amcat syllabus for ECE module, we assume that you are aware of the examination pattern. However, since, it is highly likely that many of our readers are still unaware about the basics of the amcat exam, we’ll delve into the same first and then move forward to the amcat syllabus part. 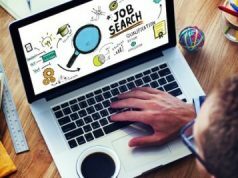 Freshers find themselves in a blur state of mind when looking for entry level jobs in their field of interest. Job seekers and employers are equally baffled during the hiring process. Employers cannot solely judge a candidate based on merit and likewise, students can’t blindly take up jobs wherever available. So, to make lives easier for both, we have AMCAT – Aspiring Minds Computer Adaptive Test. AMCAT is an examination that tests a candidate’s skills in various areas like communication, logical reasoning, quantitative aptitude, and it is also used to measure their domain skills. AMCAT is a student’s first step towards corporate world which can get overwhelming and discouraging if not started right. The same applies to the subject domain module which you choose during the exam, and each has a separate preparation style, depending upon the amcat syllabus designed for it. Every day more and more companies are considering AMCAT examination results as a part of their judgment criteria while hiring entry-level engineers. So, you got to stay ahead of the curve by putting your heart and soul into AMCAT preparations. While the first three sections are compulsory (Communication, QA & Logical Reasoning) and the same for all students, you can make choice for the fourth one based on your area of interest. 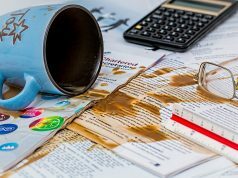 Though different companies adopt different ways of marking a candidate’s performance in the exam; they do lay heavy weight on the Optional Module chosen from the list available. This is done to assess your knowledge and interest in the chosen field of study and work. Engineering students take up AMCAT to become eligible for jobs in the field of electronics engineering, hardware engineering, Sales and Operations Manager/Executive for Electronic Industry Processes, Research Scientist, Technical Content Developer, etc. 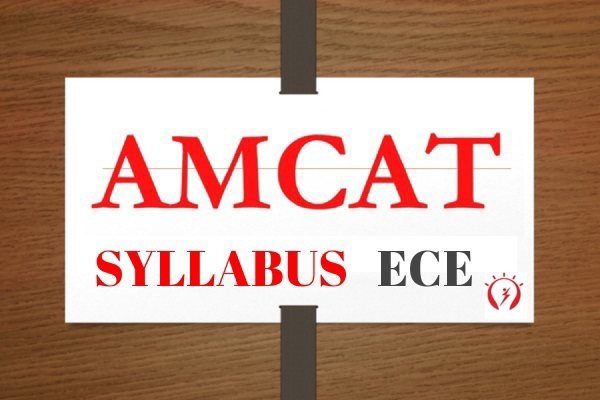 At the end, it all boils down to following the specific amcat syllabus to excel in the exam. For freshers seeking jobs in IT; such as network analyst, etc., the Electronics and Semiconductor module, which includes Analog Electronics and Digital Electronics, is ideal. The amcat syllabus for this module tests the candidate for jobs in firms that deal with Embedded Systems, VLSI design, SOC, Electronic, Design and Automation Companies etc. The exam lasts for 3 hours but the domain module requires maximum attention and focus. This module is 25 questions long and is usually allotted 35 minutes of time. Now that you have a brief idea of how AMCAT can open new doors of opportunities for you, let us help you prepare for the examination too. The other 3 sections of communication, quantitative aptitude, and logical reasoning can be prepared using the AMCAT Certification courses in no time but the domain module is a bit time-consuming. This is a theoretical section where you can’t beat around the bush. Be precise and quick is stating your point before the time runs out. To excel in this section of the examination you must be well-versed with the basics of how to operate modern day semiconductors like TV, phone and PC. The emphasis is laid on tapping whether the candidate can actually operate such machines or not. The concepts from Digital Electronics like logic gates, counters, flip-flops, algebra, logical analysis, digital design and digital arithmetic operations etc. are asked in this module. So, there is no way you can mug your way into AMCAT Examination. You must be fully aware of the practical as well theoretical knowledge of electronics. Aspiring Minds provides a number of other certification courses that help score better in other sections of the exam like QA, logical reasoning and communication. You can check out courses like MyEnglish which strengthens English language skills. You can take up more than one certified curse from AMCAT to prepare thoroughly for the most important examination of your career. Previous article5 Excellent Engineering Jobs For Freshers You Should Be Applying For Right Now! I am from electronics and communication stream can i take the 4th area of interest as computer science/ IT?? Of course, you can. But only if you are sure about your concepts in CSE and IT and think that you’d be able to score well in them during the exam. is there any option of telecommunication as 4th subject ? Sir,is there any institution available for ammcat coaching?? There’s no institution for amcat preparation you need. 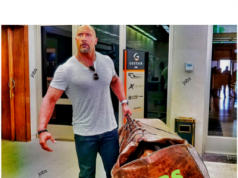 All you need is to go through the syllabus and prepare from your course books. You can go through sample papers and previous years papers to get a hang of the type of questions that are asked in the amcat exam. You can take the PrepAMCAT to give a mock amcat exam and assess your preparation. How many times can we take prepamcat exam before attempting real amateur exam? That totally depends on how confident you feel about your preparation after giving the prepAMCAT. You can take prepAMCAT any number of times, until you are confident about your preparation. I already wrote amcat test once but I couldn’t cleared it. Did I eligible to write again. Yes. You can give the amcat exam again. However, you will have to wait for a minimum period of 30 days before giving the exam again. Find all the details about PrepAMCAT here. If I have selected electronics and semiconductors as one module.Along with that how many modules I can choose during the test? You can select a maximum of 2 optional modules. Your selection must be on the basis of your academics and career interest. How to attempt PrepAMCAT Test. What are the steps required to attempt it? You simply have to buy the subscription of Prepamcat and use the application on your system. You can buy the PrepAMCAT subscription here. I’m from ECE. Is there any chance to choose programming language as my optional.Can you suggest me with this??? You can certainly choose the programming language as your optional module. However, do remember that selection of the optional modules must be on the basis of the kind of job profile you are looking to get into. You are from ECE background, looking to make a career in programming, so you must be well versed with the basic concepts of programming in order to do good in the exam. If you are confident of that, sure, go ahead. I am final year graduate from ece at present.I would like to do job in IT industry.whether I have to keep computer programming as my module or ece subjects as my domain module ? Please suggest me and also where can I get the entire exam pattern and previous papers. If you are interested in applying for jobs in IT, then selecting computer programming and/or computer science modules is the correct choice. However, you should be well prepared with the syllabus topics and basics of programming and IT to excel in the exam. You can find the entire syllabus for amcat exam here and sample papers here. All the best! I am final year student in ECE branch.If i choose ECE subjects in my module. AM i eligible for both software companies and core companies. Of course. You can definitely expect interview calls from companies even if you are 2017 passout. However, you certainly have to score well overall in order to receive calls. You can directly register for the amcat exam here. No. Software jobs are rolled out for students from IT or CSE background.